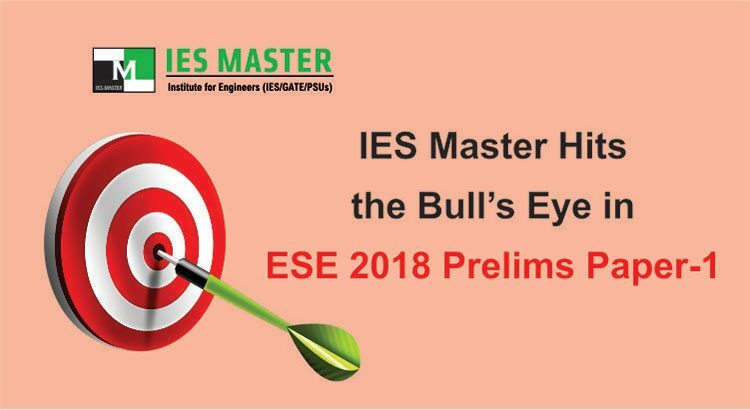 The ESE 2018 Prelims is over, and if you are a student of IES Master then you must have noticed that most of the questions that were asked in the exam are a direct lift from either the classroom study material or from the ESE preparation books of IES Master Publication. 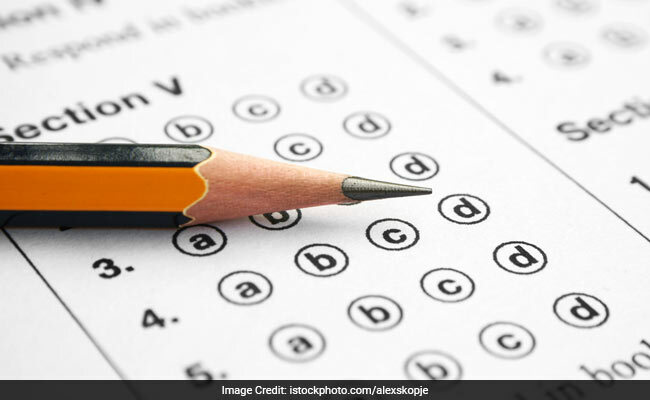 Decoding the exam pattern and standards of UPSC is not an easy task. What seems to be a challenge for other institutes was a cake walk for IES Master. It is this accuracy in guessing the questions of a top competitive exam like ESE that makes IES Master stay ahead of other institutes. 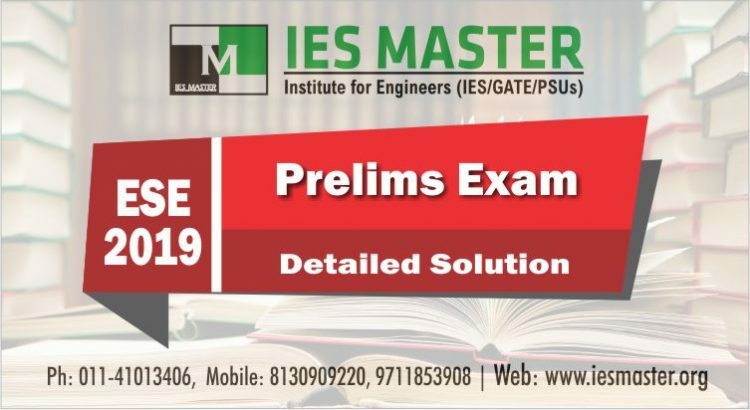 It’s not for the first time that IES Master has come so closer in guessing the questions. The first level stage of Engineering Service Examination 2018 (ESE 2018) i.e. ESE 2018 Prelims has been successfully conducted by Union Public Service Commission (UPSC) on 7 January, 2018 in two shifts – morning shift from 10 AM to 12 PM (two hours), and afternoon shift from 02 PM to 05 PM (three hours).